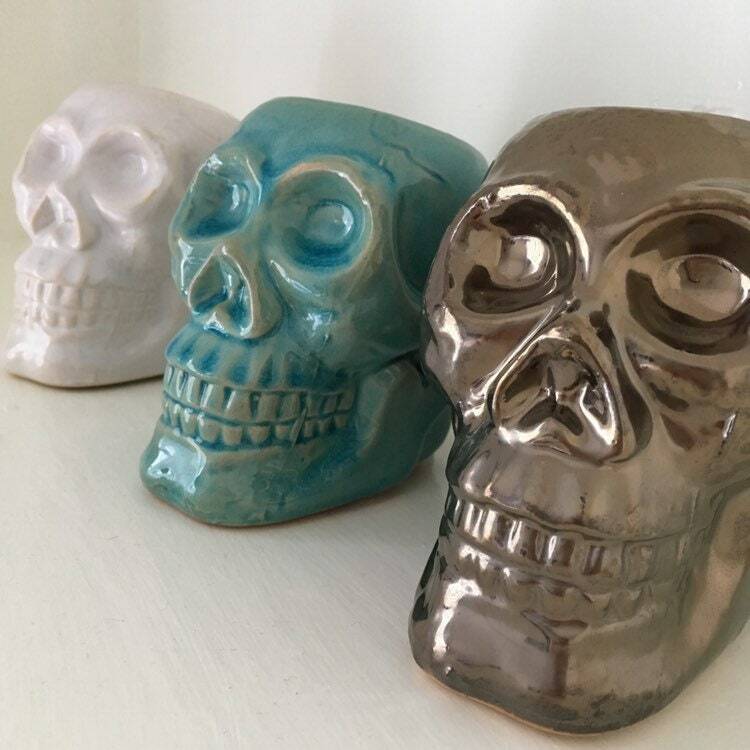 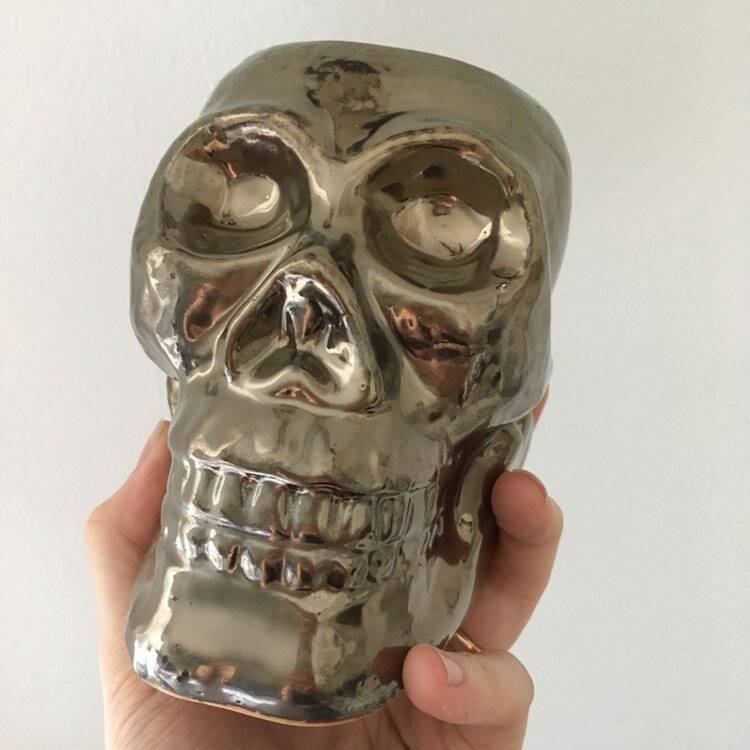 Our super kitsch, ceramic, tiki skull wax burners are everything! 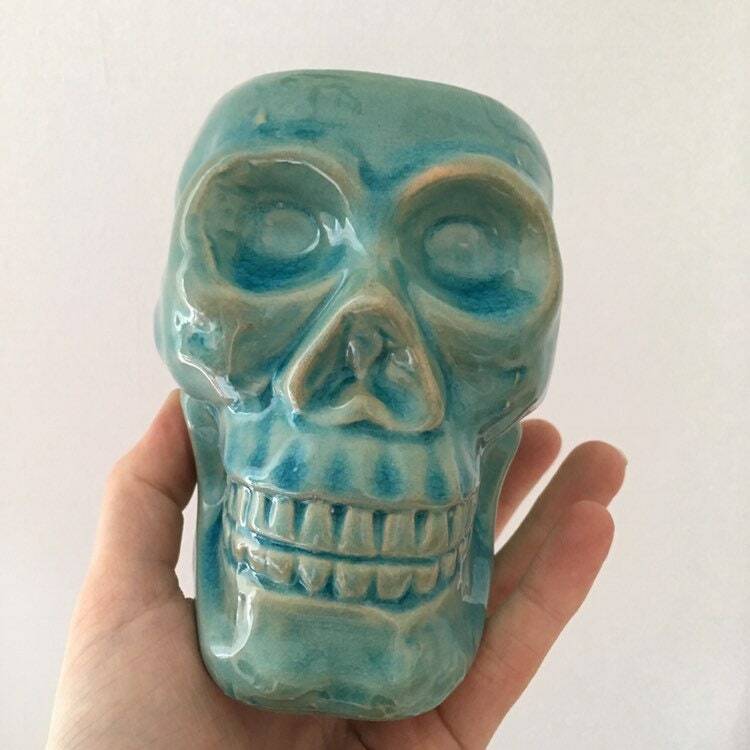 Available in white, turquoise blue or metallic finishes, they are the perfect companion to our signature skull-shaped wax melts!!! 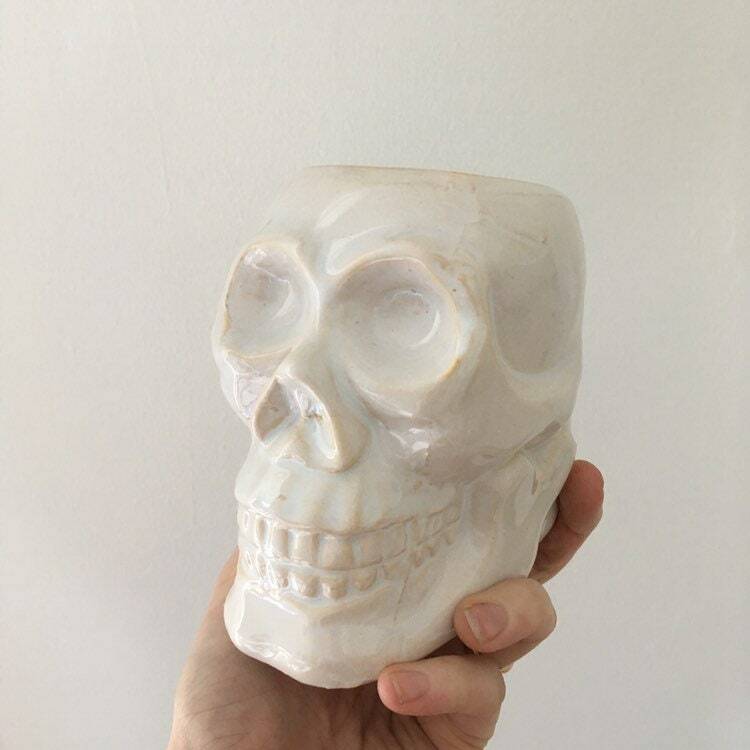 Suitable for use with regular tealight candles.